Wand targets, #1 – Ann Dunnewold, Ph.D. In an effort to organize this blog, I’m launching some new categories. Admittedly, who really knows why I have a sudden need to provide order, after a half year of randomness? 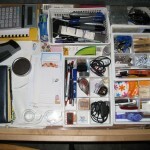 The need to organize usually arises out of feeling out of control, like when the house is such a mess that you suddenly just have to tear into (and straighten) the junk drawer. 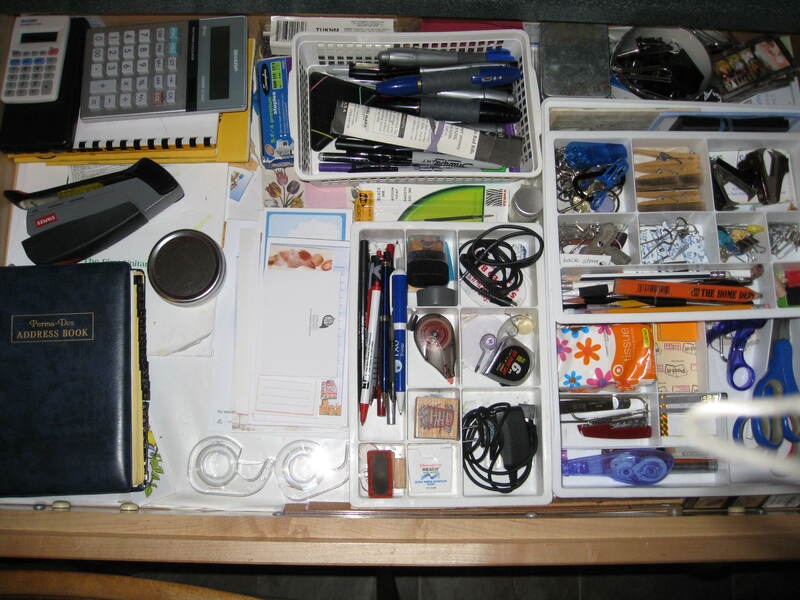 With the tidy drawer in front of you, you breathe a sigh of relief and accomplishment, feeling like you’ve grabbed the reins on your runaway life. I’m in the process of developing new writing projects in other venues, so the “to do” list is expanding, like one of those toys that magically “grow” into a slimy, disgusting object that you can’t wait to pitch into the trash once the children aren’t looking. Grow a dinosaur, grow a boyfriend, grow a cowboy–whatever your heart’s desire. But I digress. . .
New category number one is “wand targets.” If you could wave your trusty magic wand, and forever banish hated experiences and minor aggravations, what would be the target? What would vanish from your life? Tops on the list for most fallible human beings is the experience of being wrong. It’s a fairly universal state that we unanimously hate. Jokes in sitcoms and comedy routines abound (okay, often about men in particular) aimed at our discomfort uttering the phrases: “I was wrong” or “I made a mistake.” I continually tell myself, and clients, that making mistakes is NO BIG DEAL. To err is human, after all. I recommend repetition of the mantra “I’m only human. People make mistakes” as a way to stop the judgment, substituting a verbal pat on the back instead. You’re doing the best you can do. You can’t expect to be right 110% of the time. Journalist Kathyrn Schulz has written Being Wrong: Adventures in the Margin of Error. which offers an in-depth, and surprising, look at this issue. Schulz explains that we detest being wrong because of over-generalization and absolute, all or nothing reasoning. Just the sort of meme–thinking traps–that I like to ferret out and expose. Most of us react negatively because being wrong seems to confirm our inherent flawed nature. When we make a mistake, we feel stupid, useless, incompetent. We zero in on the error, convinced it represents the total package of who we are, rather than one slip. Underlying the shame and disappointment are thoughts such as “what an idiot I was.” Even deeper underneath that brain chatter is the belief that “I must be perfectly correct and successful at all times, or I’m a loser.” Being wrong equals failure, in our minds. Schulz offers an affirming counter view: that error is the fundamental human condition and should be celebrated. Drawing on cognitive science, Schulz says that mistakes in judgment and actions and the ability to make correct inferences are a result of the same process. We can’t be right without sometimes being wrong–because the underlying mechanism is the same.Â Inductive reasoning is the path to most decisions. We collect facts, fit them together, and draw a conclusion, assuming that it’s right. In terms of probability, most of the time it is. But sometimes, the facts don’t fit together in the anticipated way, and we’re surprised–and often offended that our process failed us. Schulz suggests acceptance of the fact that inductive reasoning itself is fundamentally, unavoidably fallible. But fallible does not mean useless. The process of language learning is an example, says Schulz. Tiny kids learn to add the suffix ‘-ed’ to words to create the past tense, through inductive reasoning when listening to adults. Most of the time, this rule is successful: “walked” or “played.” But it’s not universal, as we see when children relate how they “sleeped ” or “eated.” Inductive reasoning has a high hit rate–with a healthy dose of misses. It’s still the best our brains have–with a proviso, says Schulz, that she calls the paradox of error. To prevent error, we have to embrace the possibility that mistakes are inevitable because of how our brains work. Mistakes are an intrinsic part of a fundamentally sound system–not a reason to chastise yourself or others. Brings us back to the mantra, true all along. Everyone does make mistakes. This reassurance is not based simply in a generic, feel-good, esteem enhancing philosophy. It’s a scientific fact about human physiology. Update the mantra: “I’m only human–that’s how brains work.” It’s not just talk of empty reassurance; it really is the best we can do. Well my number 1 target would be clutter! Oh I wish I lived in a clean house (not clean as in dusted -clean as in trip free! LOL). Although I have found a new tool called mind-mapping that seeks to turn your to-do list into a look inside of your head -which is to say embracing the clutter and making it work for you -and I’m loving it. I would have so much more time if only I could find my laundry or shoes or lunch supplies!! 199 rights, do make a wrong! On the upside, I was right, right, right, (not mistake free) because I made the experience a blast for my light crew operators who went away each night feeling valuable, worthy and error free, or at least nothing worse than a laugh and an oops! Yay, for adults out there who can have a positive impact on young people and do. Down with those who just can’t see the rights for wrong!